To contribute to enhancing South-South and Triangular Co-operation to make them fit for implementing the 2030 Agenda. In January 2017, the BRICS Policy Center hosted the first Dialogues on International Development Co-operation, in collaboration with the Brazilian Cooperation Agency. The event was supported by Articulação Sul and sponsored by the Seoul Policy Center, DFID, FAPERJ and CNPq. In 2017, the “Dialogues on South-South Cooperation” focused on Monitoring and Evaluation and brought together South-South Co-operation (SSC) actors from twelve countries, as well as a significant number of Brazilian implementing agencies and international organizations. The event contributed to current national and international efforts to respond to the call of United Nations Member States in the Nairobi Outcome Document of 2009, as it recognizes that “the impact of South-South cooperation should be assessed with a view to improving, as appropriate, its quality in a results-oriented manner” (GA Resolution 64/222). Furthermore, the Dialogues on South-South Cooperation established a platform for multi-stakeholder conversations and learning on issues related to the implementation, results and evaluation of South-South and Triangular Co-operation. 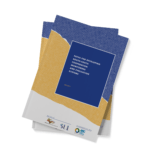 As a result of the “Dialogues” the BRICS Policy Center and Articulação Sul prepared the report “Paths for Developing South-South Cooperation M&E Systems” published by the Brazilian Cooperation Agency. Dialogue 1: Trilateral Cooperation, the 2030 Agenda for Sustainable Development and the Paris Agreement. Dialogue 2: Specialised North-South Policy Dialogue: Private sector engagement and the 2030 Agenda for Sustainable Development. Dialogue 3: Preparing for BAPA+40: South-South Cooperation contributions for leaving no one behind (LNOB). ODI – What do analyses of Voluntary National Reviews for SDGs tell us about ‘leaving no one behind’?